Cause of Death: Fried to his bones by Glum’s battle armor. 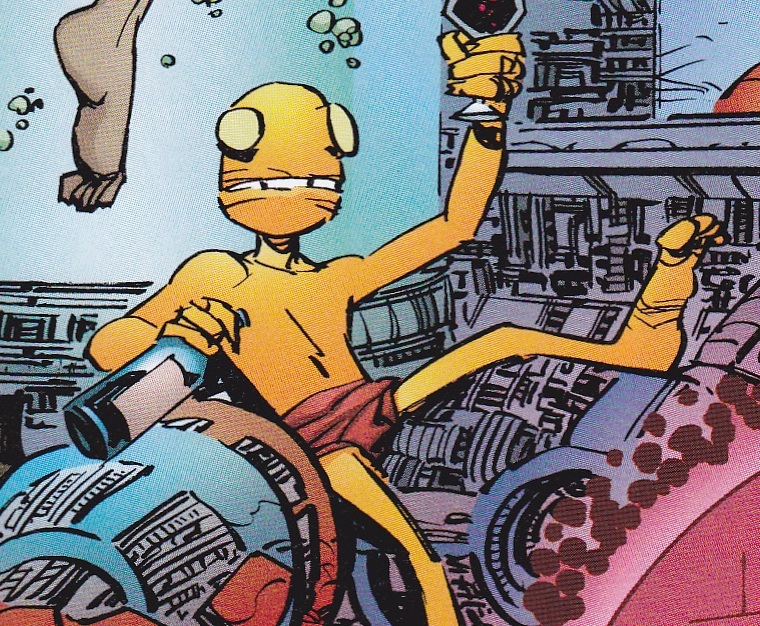 Toady is a lacky for Mr. Glum in Dimension-X. When Glum is captured by Malcolm Dragon, Glum expects Toady to rescue him. It is then shown that Toady is watching Glum in jail while drinking wine in celebration. Glum is later relaxing when aliens attack the planet he is on. He tries to don Glum’s battle arm, but after a few minutes the armor doesn’t recognize him and fries him to a crisp. His bones are seen being dispensed from the suit.